“As I was growing up, I was the kind of child, who questioned everything and everyone around her. For years I sought to unlock what I saw as the mysteries of life but hard as I tried those secrets remained tight lipped. When I became a mother some things, like my responsibilities, became clear but I still had no answers to the many pressing questions that still haunted me. Essentially, I felt I wanted to make a difference but I didn’t know how and where to start. As I reached the golden age of 40 it was as if I had woken from a long sleep. Everything became crystal clear. I knew what I had to do. I had to embark on a journey of reform, first in my personal life and then in my public life. The first step was to leave an unhappy marriage and take full responsibility for my five children. Once I experienced reform in my private life, I wanted to see it everywhere. I especially wanted to see it in my country, Saudi Arabia, whose problems I was no longer afraid to highlight. But my country was only a starting point and increasingly I felt the need to promote respect and freedoms within all societies and between genders. My message is global. I have taken upon myself this responsibility and I invite you to join me on this momentous journey. My mission is to promote peace, prosperity and dignity, not war. We live in an age of cynicism where no one feels they can make a difference. It’s time we all stood up to our responsibilities, pooled our efforts together and pushed for a better, more equitable world. 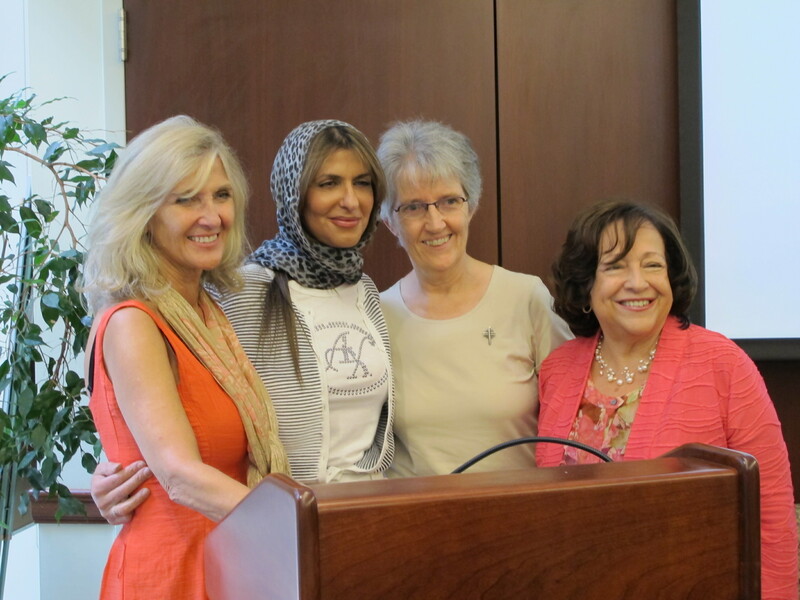 Princess Basmah spoke of her organization to promote her ideas ‘The Lanterns United Global’ a global network of peoples and organizations working towards a more egalitarian world. The Princess answered questions posed by Caroline Donovan and Yvonne Rafferty. This entry was posted in Girls, Good Shepherd Sisters, Uncategorized, Working Group on Girls WGG and tagged Girls. ← Join with me in celebrating the first international day of the girl child on October 11th. WITH GIRLS FOR GIRLS!